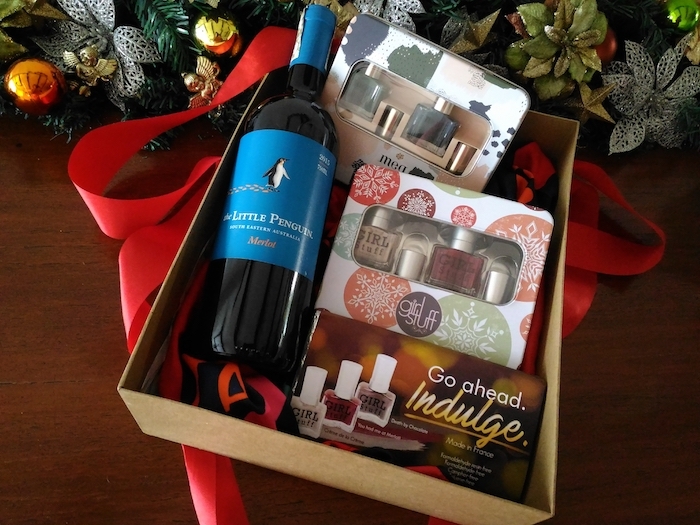 "Wine, chocolate, and nail lacquer in a box? What good did I do in this lifetime?" Those are the exact words I uttered upon unboxing GirlStuff Forever's recent box of treats. 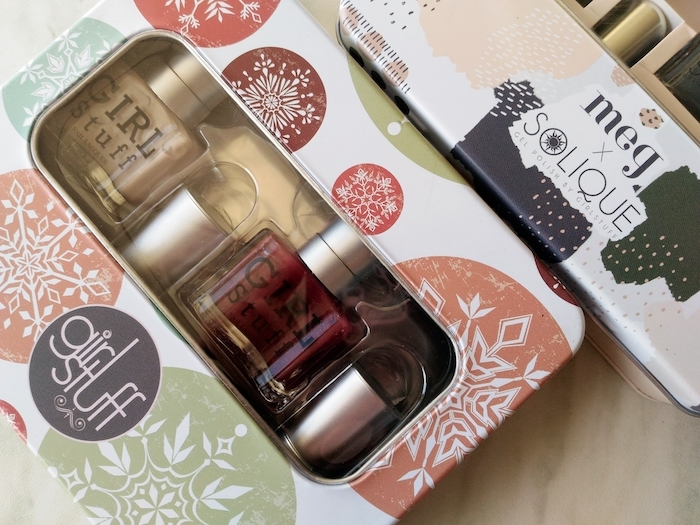 As a big fan of their nail polish and accessories, you can tell that I was over the moon to receive two of their gift sets: the megxsolique Gift Set and the 2016 Holiday Collection. 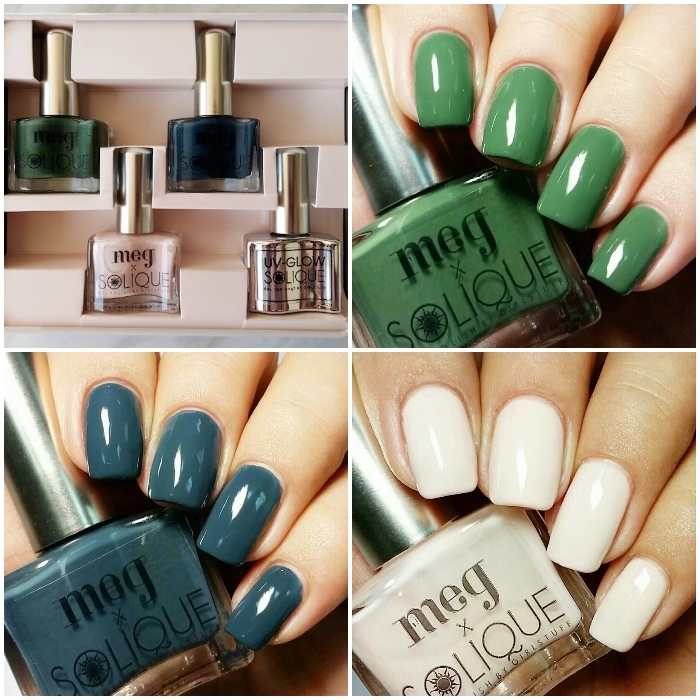 The megxsolique Camo As You Are Gel Polish Collection came out last quarter right around the time I was itching to come home from the US. I was drooling over everyone's hauls and swatches particularly because I was drawn to Army Of Me (vivid forest green). Based On A True Story (dark asphalt blue) look much, much nicer in person. Absolutely flawless. Twelve/24 is a neutral ivory that seem to complement a wide range of skin tones. These ultra smooth nail lacquers cost Php 180 each or only Php 740 for the gift box (all three polishes plus the UV-Glow Solique Gel Top Coat). This year's holiday collection is inspired by our favourite indulgences: wine, chocolate, and crème! <3 You Had Me at Merlot! is a deep burgundy that instantly makes your mani or pedi look bright and immaculately done. True to its names, Crème De La Crème, is one of the best beiges out there while Death By Chocolate is guaranteed to make you hungry! It's a smooth, brown shade that's reminiscent of my favourite milk chocolate nuggets. Giving this collection as a present? The set of 3 nail lacquers plus the best selling Fast Dry Top Coat is only Php 540. Individually, they're only Php 130 each. 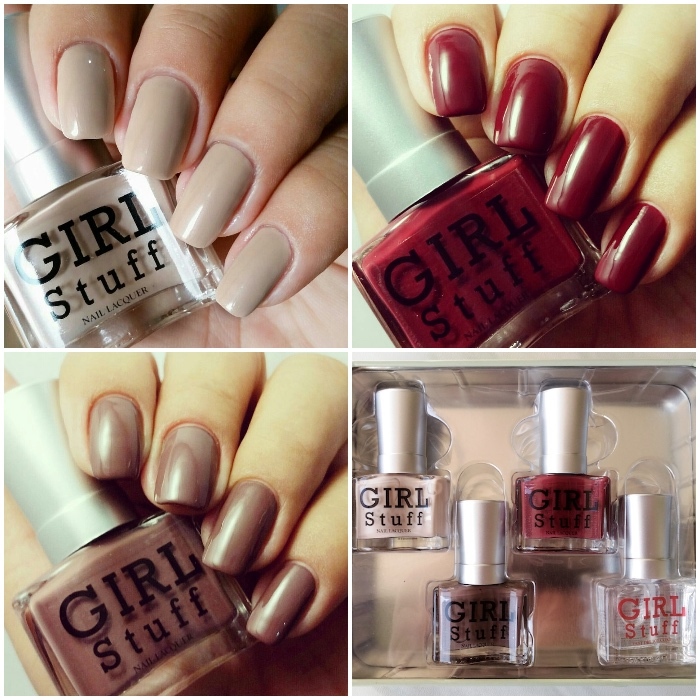 Girlstuff Forever nail lacquers and gift sets (there's plenty this year!) are available at Girlstuff kiosks/carts in SM Mall of Asia, SM North Edsa, SM San Lazaro, SM Megamall, Glorietta 2, and Ayala Cebu. No time to shop? They finally have an online shopping option that even delivers for free for a minimum purchase of Php 1500. Check it out at www.girlstufforever.com.